American author H. P. Lovecraft (1890–1937) is considered one of the early masters of the horror genre, and created the «Cthulhu Mythos.» Photo: Lucius B. Truesdell, 1934. Lovecraftesque is a new roleplaying game inspired by Howard Phillips Lovecraft’s stories and the mythology he created. 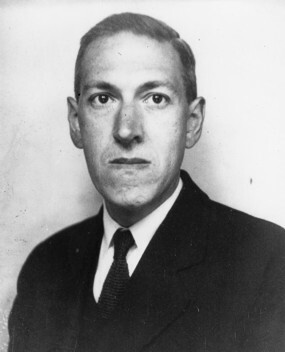 Lovecraft (1890 –1937) is widely regarded as one of the early masters of horror fiction. The works of the American author have also been criticized for dealing in racist clichés. The British game designers Becky Annison and Josh Fox want to let players recreate the suspense of the original, whilst shedding the reactionary tropes. A Kickstarter campaign to fund the publication of Lovecraftesque is running at the time of writing. Several roleplaying games have taken inspiration from Lovecraft’s works. Unlike the classic game Call of Cthulhu, first published in 1981, Lovecraftesque has no single Game Master (GM), and there is only one main character. This recipe whetted the appetites of several gaming enthusiasts online, and the Kickstarter’s main goals were funded in 48 hours. The campaign page links to a bare-bones version that can be downloaded for free. One player takes on the role of the Witness, one is the Narrator and the rest are Watchers, with the roles rotating after every scene. For most of the game you’re playing through scenes where the Narrator will reveal a single strange clue. Both the Witness and the Watchers concentrate on adding atmosphere, in different ways: the Witness by speaking out loud the fears and rationalizations of their character, and the Watchers by elaborating on what the Narrator describes, dripping detail and tension into the game. Lovecraft was little known during his lifetime, and published his works of horror fiction in cheap pulp magazines, dying in poverty at an early age. He is today regarded as one of the most significant 20th-century authors in his genre. The cover image. Illustration: Robin Scott. Two stretch goals of the ongoing Kickstarter campaign are funding extended essays on both these topics. The first one, already unlocked, will see British game designer Mo Holkar write a full-length essay on Lovecraft and racism, and ‘how to run Lovecraftian games without replicating his bigotry’. The next goal is an essay by US game designer Shoshana Kessock on the portrayal of mental health issues in games. To support this approach, part of setup invites players to ban elements or themes they aren’t comfortable with, with prompts to consider banning racist themes and characters who “go mad”. The authors also recommend using the X-Card safety mechanism designed by US game designer John Stavropoulos. (X-Card link). Lovecraft’s menagerie of strange and terrifying creatures have been popularized through comics, board-, video-, and roleplaying games, and even plush dolls. Cthulhu, Yog-Sothoth and Nyarlathotep are familiar names to most gamers. The authors of Lovecraftesque want the players to create their own, unique monsters rather than recycling these classics. Interior art. Illustration: Robin Scott. 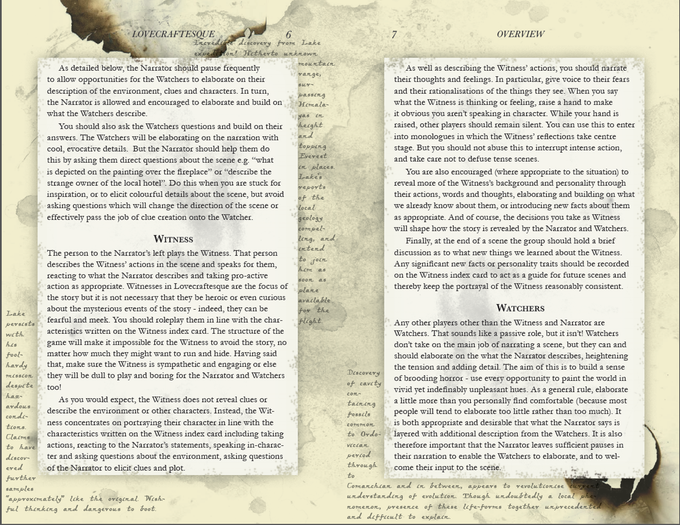 To aid the players in creating their own “Lovecraftesque” stories, the authors have included advice on his writing style, together with lists of inspirational material. 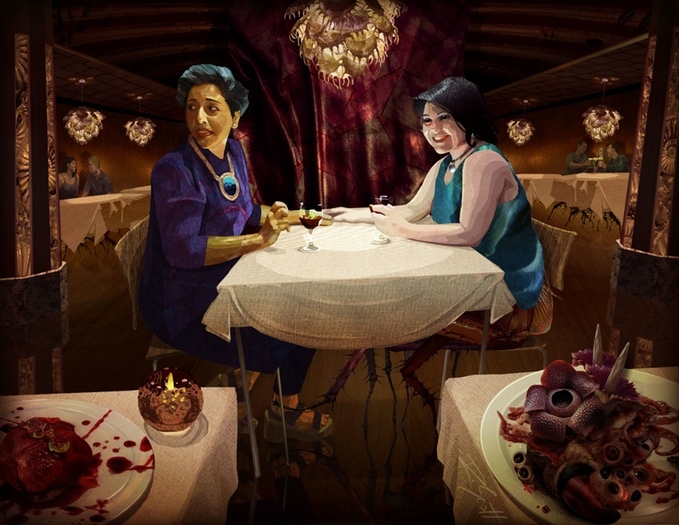 The game utilizes a special set of cards to guide the story towards Lovecraftian themes. Each card represents a Lovecraftian trope of some sort – a weird artifact, cultists or time travel, for instance. “Each card enables you to introduce appropriate material for a particular Lovecraftian theme, often allowing you to break the normal rules of the game as you do so”, Becky explains. The Kickstarter campaign started 15th September and runs for 30 days. The main goal is to produce the book and cards. You can see a PDF version of the draft layout here. Layout artist Nathan Paoletta is an experienced game designer himself, and recently released the acclaimed World Wide Wrestling RPG. The book will be A5/half-letter size, available in softcover and hardcover. An easy-print version of the PDF will go alongside the version described above. The plan is to make the game available from a range of RPG outlets, including Drivethrurpg. 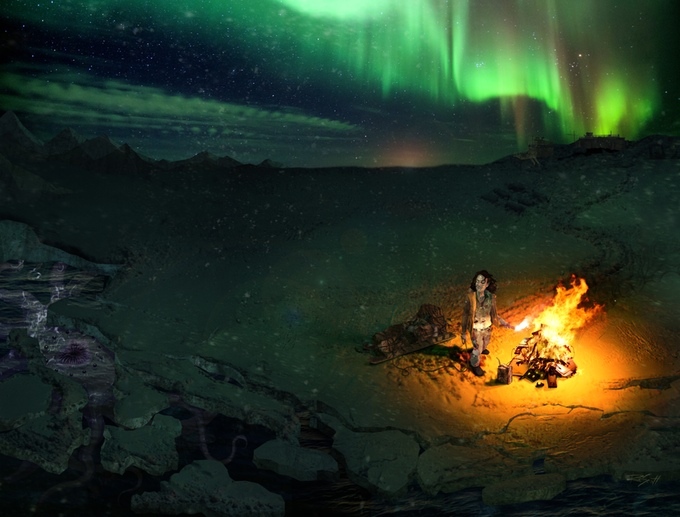 Among the stretch goals are more artwork for the game, quick-start scenarios by several well-known game designers, and the essays about racism and mental health. “We’ve already raised our initial funding goal and we are making great progress in unlocking stretch goals”, says Becky. On the author’s webpage blackarmada.com, they have published material about running such a Kickstarter-campaign. They hope this will be a useful resource for other game designers thinking of self-publishing. 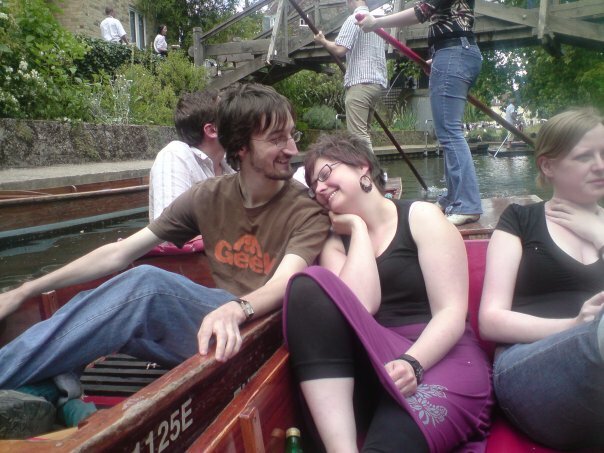 I’ve been roleplaying since I was 10, when I played D&D in my lunch-breaks. In recent years I’ve been all about the indie games: my favourite games include Apocalypse World, Dream Askew, Monsterhearts, Dog Eat Dog, Microscope and Durance. Although I’ve noodled around with game design for many years, I’m relatively new to making finished games: previous projects include Disaster Strikes!, a game based on classic disaster movies, and House of Ill Repute, a political playset for Fiasco. In real life I play a 36-year-old civil servant who dreams of being a famous game designer. Like Josh I started roleplaying when I was 11. I remember taking all my birthday money on my 11th birthday and rushing out to buy D&D. It was amazing and I devoured it. Since then I’ve played in so many different types of games both tabletop and LARP. I’ve been designing for a few years now – I started out designing and running large LARPs (as part of a team) but since the indie revolution I’m hooked on designing indie games. Games which are really pushing design work into unexpected places. Apart from Lovecraftesque the game I’m most proud of is When the Dark is Gone which will be coming out in an anthology with Pelgrane Press later this year. Our hobby has such an amazing choice of games on offer. My favourite games are probably Amber: Diceless, Monsterhearts, Itras By, A Taste for Murder and 1001 Nights.